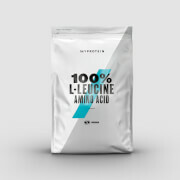 Here’s your essential amino acid supplement, containing an optimal 4:1:1 ratio of leucine, isoleucine, and valine, which help deliver improved muscle building after any workout. These can’t be produced by your body so they must come from your diet, and that’s where we come in. Ranked ‘Grade A’ by independent tester Labdoor for both quality and value, BCAA is officially certified as one of the best branched-chain amino acids supplements on the market. 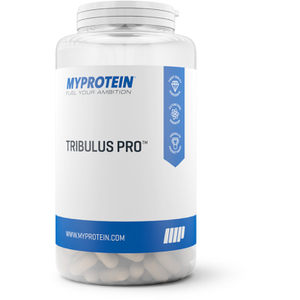 They’re your essential amino acids, which are the building blocks for new protein, helping to deliver improved muscle building. This is so important for any fitness goal, whatever your aim – so grab this ‘must-have’ whether bulking, getting lean, or simply toning up. BCAAs have also been found to increase time to exhaustion in prolonged endurance exercise, which means that you can go for longer on those cardio days. We recommend taking 5g 2-4 times a day for best results – enjoying one of our range of fruity flavors, or simply adding to your favorite shake. These amino acids can be taken throughout the day, or before, during and after exercise. The unflavored it tastes and smells really bad. They shouldnt name it like that. This BCAA taste and smell so bad that I only tried it ones. Even when I mixed one small scope of the BCAA with my protein shake it changes the taste so bad. Tastes horrible, smells bad, and not like the other BCAA EFFECTIVENESS wise. Defenitly not recommend it. I bought this product on a whim to go with my protein order. It was cheap enough so I grabbed a 1/2 lb. It really helps with muscle pain and aches! I notice the usual 3-4 days of sore muscle groups is down to about a day. I still cannot workout that muscle group again for 3-4 days, but the pain is GREATLY subsided. Been taking this every morning since the beginning of April 2017 and completely mixes in with the protein powder from MYProtein. I use unflavored BCAA with Chocolate Smooth protein. Love the product just didn't like the taste at all. It's a little early to tell the effectiveness of the 4:1:1 BCAA's as I have only been taking it for about two weeks. I gave it pretty much 4's but they could change to 5's. All the products I purchess from Myprotein. Com have been top shelf Suppliments. I really like their products because they are clean and clean is hard to find. The prices are very good also. 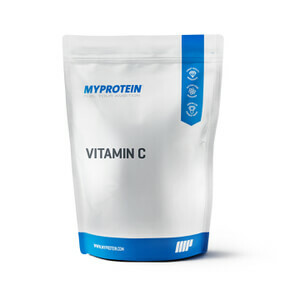 Myprotein.com is my go to Suppliment supplier from now on. I add the BCAA 4:1:1 to my Protein shake along with Creatine. Seems to work well for me and mixes really easy. The price was right! The impact protein was excellent! I had high hopes for the BCAA's products, but was disappointed. It smells delicious when you open it (like raspberry Jello powder, when i was a kid!) but it has a very chemical like taste. I have tried many BCAA products but so far no one can match the flavor of Scivation's Extend or BSN's Amino X. Extend is so tasty that I work out just so I can have some! Price-wise this is a good buy, it does contain, as the name suggests, BCAA's, but my "recovery" drink needs to be enjoyable, even desirable, and this product was just ok or actually closer to tolerable. I marked the Effectiveness down since you need to WANT to consume it before it helps. ====================== Impact whey on the other hand ROCKS!!!! I go through 11 pounds almost every 2-3 weeks, so love the price and the Vanilla taste great. The Casein and Milk Smooth products are bit chalky, (that is typical) but I mix them about 50/50 with the Impact Whey to get a bend of slow absorbing casein and quick absorbing isolates together. (Much like many other much more expensive brands I have tried). I also like to mix the Natural Vanilla with the regular Vanilla (sweeter) to get just the right level of sweetness! Great product, great options, GREAT PRICE!!!! I bought the BCAA 4:1:1 to use as in my homemade Pre-Workout formula, with the added bonus of it providing the flavor for the mix. MyProtein BCAA mixes easily with water and with the other ingredients in my pre-workout mix and has a nice tart taste.